A book for children with a revolutionary idea: Stop, break the routine and see what lies between the arrows that everyone follows blindly. Search for alternatives and find that there are other ways to follow your path. A good book to the children that can make a different tomorrow. 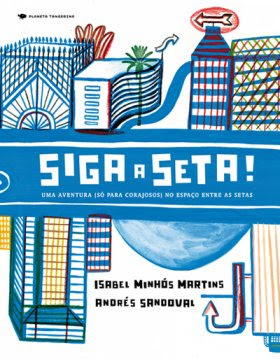 Um livro para crianças com uma ideia revolucionária: Parar, quebrar a rotina e ousar ver o que há entre as setas que todo o mundo segue cegamente. Procurar alternativas, descobrir que existem outros caminhos para além daquele que nos impõem. Um bom livro para que crianças de hoje possam fazer a diferença amanhã.